One of the things that I loved about this book was that I had no clue what it was about. Having read everything that this author has written it was just a given that this would be next. Oh I knew is was the continuing story of Brendan Prescott, Queen Elizabeth was on the throne but other then that I had no idea. That is part of the reason that I don't do play by play comments in my reviews. 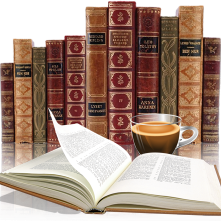 I like the element of the unknown, discovering as I read and hope my readers do too. After reading The Tudor Secret if anyone told me how this series was going to end I wouldn't have believed it. With so many books available that take place during the reign of Queen Elizabeth this book brought something new and original. The plot I found intriguing and suspenseful. Having read my fair share of mysteries I can't help trying to figure things out before it is revealed. 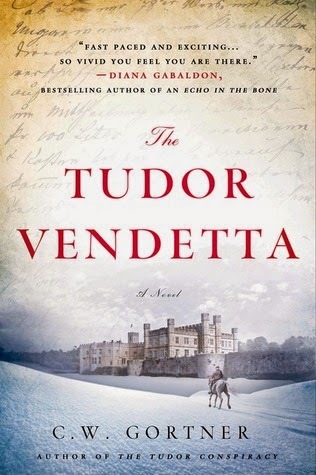 The Tudor Vendetta had me guessing, sure that I've figured it out only to come upon more twists and turns, that kept me guessing right till the end. Brendan Prescott is a likeable character, knowing his secrets and drive added much to this story. I am not a fan of Robert Dudley's so the way he was portrayed here just confirmed my feelings. The authors writing style is smooth and it wasn't hard to get lost in this story. With authentic historical details I found this to be a very entertaining read and am sad to see this series end.